Cinnamon bread is a delicious and beloved option for dessert or breakfast. However, for many it can be annoying to make with your standard baking supplies and it doesn't always come out the exact way that you want it to. Luckily, your Oster® Bread Maker can help you bake this treat with ease. Here are a few tips to making cinnamon bread that'll be the envy of everyone you know. 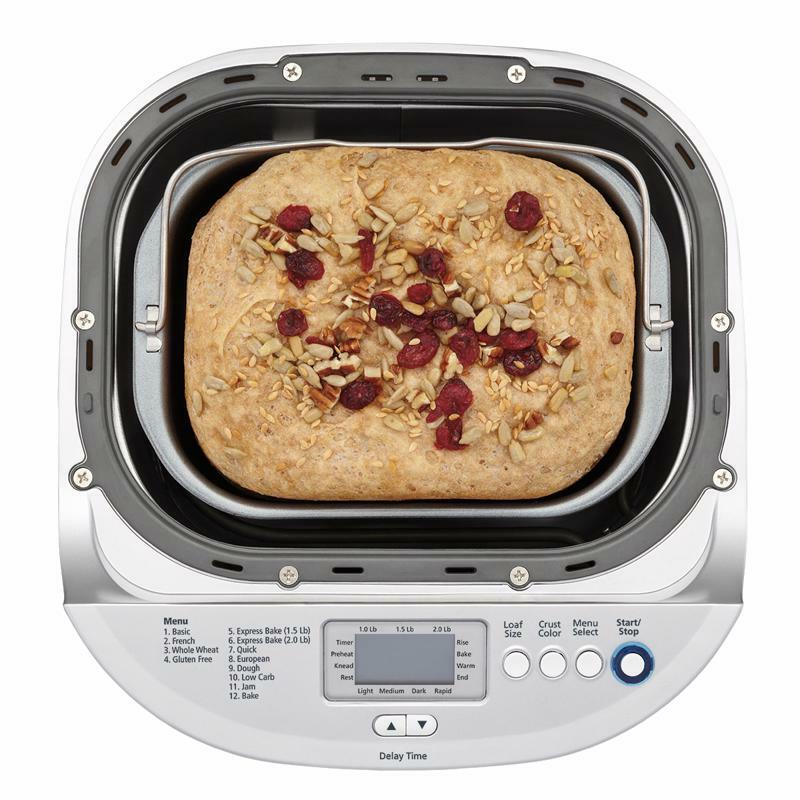 Unlike your oven, the Oster® Bread Maker is specifically designed to do one thing: make bread. With 13 bread settings including gluten-free, you can make nearly any loaf you want to with whatever crust type you desire. Plus, with express baking functions and a 13-hour delay, this small appliance works with any schedule. If your bread maker bakes your bread before you're ready to enjoy it, it helps keep it warm as well. You can use your bread maker to make nearly any loaf you can imagine. Try a recipe specifically designed for your bread maker. This typically features the use of bread machine yeast or quick-acting yeast, but can work with regular active yeast as well. The other ingredients are the same as they would be for making any type of sweet bread. Use water, flour, butter, sugar, salt and cinnamon along with the proper bread maker functions. "Many people turn to this tasty loaf of bread for its mix-ins." While the cinnamon flavor may be where this style of bread gets its name, it's far from the only part that people enjoy. Many people turn to this tasty loaf of bread for its mix-ins. Raisins and walnuts are among the most popular, but you can go with a wide variety from fruit to candy pieces. Just make sure that whichever mix-in you choose to go with is popular with the people who are eating your creation. It's not just the mix-ins that give your bread an extra punch of flavor, the ingredients you use to top the loaf matter too. Try drizzling some homemade icing onto the finished product or adding a little additional cinnamon-sugar on top. This works especially well with the bread maker, because it keeps your loaf warm. That way, when you take it out of the machine to add the final ingredients it's still warm and ready to soak up the tasty toppings.